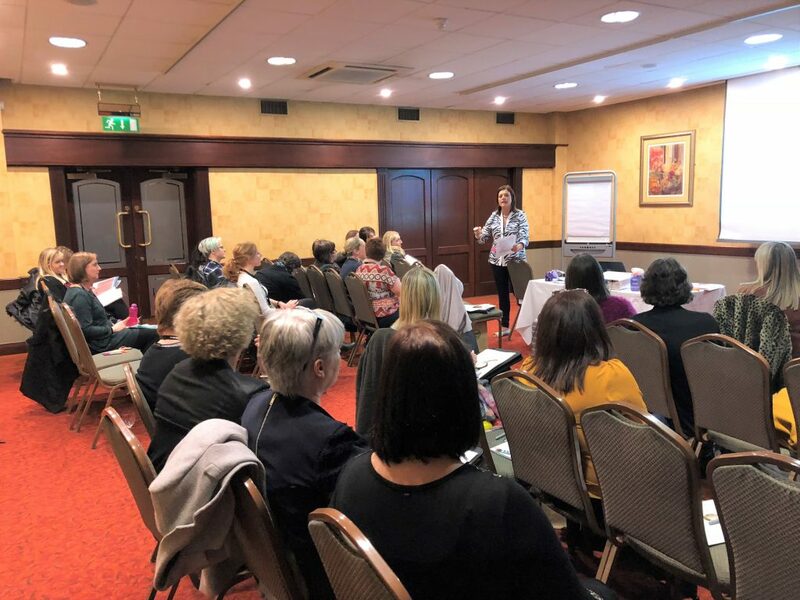 The development of Shared Education policies by pre-school settings was the focus of a workshop during Early Year’s conference on Leadership and Governance. The pre-school practitioners, many of whom are taking part in Sharing From The Start, were given help and guidance on how to put in place a Shared Education policy for their setting. Policies are important because they help a pre-school establish procedures and create standards of quality for learning and safety, as well as expectations and accountability. They guide the actions of all those involved in the service. When policies and procedures are well thought out and implemented they provide a common understanding and agreement on how things should be done and it helps new staff and families familiarise themselves with the service’s practices. Making a Shared Education policy is a recommendation from recent legislation. All pre-schools are at different stage in their journey and every setting and their circumstances is different. So it’s important for them individually to set out their logistics and intended outcomes in a measured way, being mindful of sensitivities. All of which is part of embedding Shared Education and building positive relations. It was highlighted during the workshop that a Shared Education policy should include principles, policies and procedures. Firstly it should set out their commitment to Shared Education and why they are involved, the benefits and added values to the curriculum. It should also set out the aims for their setting and what they hope children, families and staff achieve from sharing such as increasing tolerance and respect, promoting increased community cohesion and enhancing children’s skills and attitudes. Finally it should out information on procedures e.g venues, travel, resources, planning, monitoring and so on. It’s important to note also that policies should be ‘living’ documents that must regularly be reviewed, all in order to work towards fully embedding Shared Education into the normal delivery of the curriculum.